Understanding your health risks is one thing. Taking action to reduce your risks and feel better is another. Let me help you safely and effectively so you can get back to doing the things you enjoy and to have an improved quality of life. 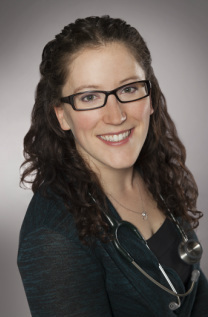 Dr. Rebecca Hauser BSc., N.D. I believe everyone is entitled to be able to have the energy to do the things they enjoy, to do so free from pain and to fully discover their health potential. Before we embark on your journey to health let me tell you a little more about myself. I spent the majority of my childhood growing up around Dixonville, AB and much of that time was spent exploring nature. I came to realize the inherent power of nature to heal and to provide us with the tools to heal ourselves. Learning from the balance evident in nature, I started to develop my own view of healing and medicine and a greater appreciation for food as a foundation to our health as well as a tool to promote healing. Striving to understand the human body and nature at its smallest level I studied genetics at the University of Alberta. During this time I was fortunate enough to work with children with autism and cerebral palsy, as well as a laboratory technician at the Provincial Laboratory at the U of A hospital. This, along with my experience working as a clinic director for an orthopedic surgeon, has provided me a greater appreciation of the challenges faced in healthcare, as well as the need for all health care providers to work together to create a health care team. I believe the medical community should empower patients, address the whole person, provide care and prevention for acute and chronic conditions, as well as establish the building blocks for people to maximize their health potential. To take a part in providing the care I believe people deserve I moved to Toronto to attend the Canadian College of Naturopathic Medicine, a fully accredited naturopathic medical college. I received over 1200 hours of clinical experience under the supervision of licensed Naturopathic Doctors, and over 3000 hours of in class training. This allowed me to develop treatment strategies and witness their success while joining my patients as they rediscovered their hobbies and passions, experienced increased energy and better relationships. In my spare time I enjoy being outdoors, being active, reading and spending time with my family, friends and pets. Naturopathic medicine, and the care I provide my patients, is my way of integrating modern research and medical knowledge with the philosophies of traditional medical arts. My areas of interest are fertility, pain management, digestive health, pediatrics and implementing anti-aging and cosmetic strategies, as well as improving nutrition and digestion.